From celebrated author Janette Oke (the Love Comes Softly series) comes a rigorous and romantic adventure as epic as the wide frontier. 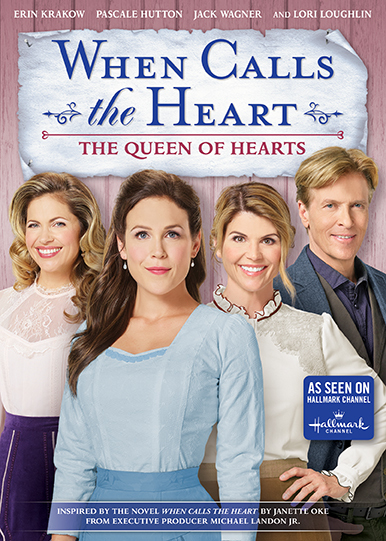 Erin Krakow (Army Wives), Jack Wagner (Melrose Place), Pascale Hutton (Flashpoint) and Lori Loughlin (Full House, 90210) star in When Calls The Heart, a beautiful story filled with "many of the values we all hold precious such as love, family, friendship, community, faith and caring about one another" (Military Press)! Many changes are afoot in town! Abigail ushers in a new era by bringing the latest technology to Hope Valley. 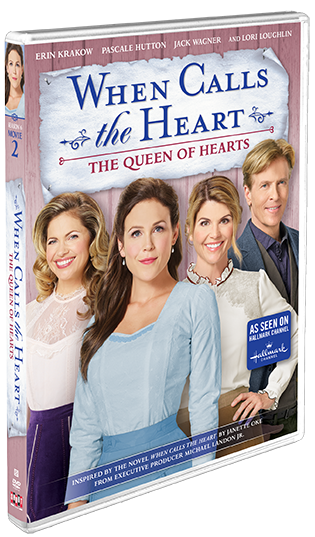 Elizabeth finds it difficult to juggle her devotion to her students and the responsibilities of her home life. Meanwhile, the saloon is in dire need of new ownership, and Rosemary appoints herself matchmaker for Carson and Faith.